Schools can be considered as “cultural, social, and political laboratories for ideas about education” (Guidici, C. 2017). Exchange among learners in the classroom community, the school and extended community, inclusive of families, businesses, and policy makers can lead to innovations in education and development research. Join us next year to share in relation to our conference theme. 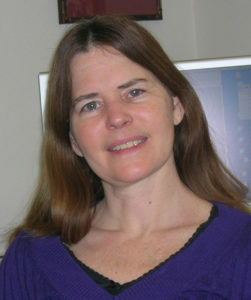 Catherine Compton-Lilly is the John C. Hungerpiller Professor at the University of South Carolina. As a professor in the College of Education, Dr. Compton-Lilly teaches courses in literacy studies and works with local educators. In her work, she follows eight of her former first grade students through high school. In a current study, now in its tenth year, she is exploring the longitudinal school experiences of children from immigrant families. Dr. Compton-Lilly has authored several books and many articles in major educational literacy journals including the Reading Research Quarterly, Research in the Teaching of English, Written Communication, and the Journal of Literacy Research. The increasing emphasis on assessment and the privatization of public education creates the opportunity for us, as educators, to recognize the potential to recreate education in new spaces, spaces where students and teachers live, work, and play. Education freed from the rigid constraints of the public-school building has the potential to construct new understandings and new communities. This keynote describes work done in collaboration with an elementary school classroom, a class of preservice teachers and several community partners to build a park. Grounded in this case study of a place based education collaboration we will explore the possibilities of expanding beyond the classroom and engaging the local community. How does connecting our practice to place provide educators with an opportunity to help students not only construct their understanding of science content and science process skills, but with an opportunity to construct a healthier, more sustainable, and more democratic community? 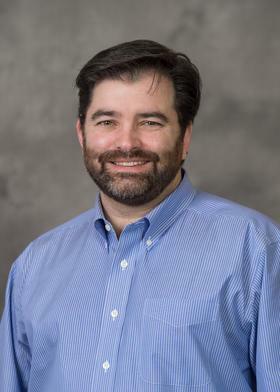 Christopher Burke Ph.D. is an Associate Professor of Science Education and the Director of the Doctoral Program at the University of Michigan – Dearborn. Through his work Dr. Burke has cultivated collaborative relationships with Non-profit organizations, youth development organizations, schools, universities, and community groups who are engaged in promoting democracy and education to construct a more just, equitable, sustainable and engaged society. His scholarship focuses on engaging pre-service teachers and k-12 students in these community based activities as a means of cultivating their science agency. Complete this form to register for the conference as well as renew your membership. We use PayPal to process your transaction securely. We have negotiated a special rate for rooms at the Holiday Inn Ann Arbor during our conference. Register for your room using the button below and enter the code "ACT" if prompted. Proposals submission due date April 30, 2019. Proposal Title - Limit of 150 characters including spaces (approximately 15 words). Description of workshop as you want it to appear in the conference program. Limit to three lines. Specifically discuss how your session’s content and structure relates to constructivist pedagogy and the conference’s theme, Co-Constructing Learning Opportunities with Communities. Intended audience: preschool teachers, elementary teachers, administrators, teacher educators, etc. Presenter (and Co-Presenter(s), if applicable) Information: Name, title, affiliation, preferred phone and email, brief bio. ACT accepts individual, co-presenters, multiple presenters and panel discussions. Presentation Date: Indicate whether you have a preference to present on Friday or Saturday. Books, Educational Materials: Please let us know if you plan to bring books or other materials to sell at the conference. Send the proposal as a Microsoft Word document to Seong Bock Hong at seong@umich.edu All proposals are peer reviewed. ACT depends on registration fees to pay for the expenses associated with sponsoring this conference. Please note that all presenters are expected to register for the conference and pay the required conference fees. Out of town presenters must book hotel rooms prior to October 4th.